Promoting your blog is where I see the majority of bloggers fail. There are lots of great bloggers out there that no one has ever heard about, simply because they don’t know how, or just don’t want, to promote their blog. The most important tip I can give you about promoting your blog is to not be shy about telling people about your blog! I have heard from many bloggers who tell me that they don’t promote their blog simply because they don’t feel it is worthy of promotion. They say things like “I don’t have enough posts yet” or “I need to work on my site design first”. Don’t do this to yourself! If you have put in the time to setup a great site and with great content, then you need to tell people about it. Be proud of the work you have put in. So just how do you promote your blog? Well, it turns out the most effective methods of promotion are free! Chances are that you already have a Facebook account, and maybe even a Twitter account as well. 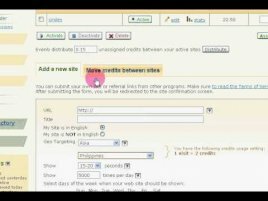 So when you post something on your blog, make sure that you also post a link to your blog post on your social accounts. It also helps to connect with other people interested in your topic. Send a friend request to the top bloggers in your niche and make sure to follow them on Twitter as well. You may be surprised at just how many people will find your post interesting and then share the link with their friends. On many blogs you can leave a comment along with a link back to your own blog. If you make useful comments on blogs related to your topic you will be putting your blog right in front of people who you know are interested in your topic. Caution! Do not abuse this method. If you are leaving terrible comments on posts just to get your name out there this will only hurt your blog. Furthermore, poor quality comments are likely to be deleted by the blog owner anyway. If you make a useful comment people are more likely to visit your site, since they will want to hear more about what you have to say on the topic. One the best ideas for writing a blog post is to write a response to a post from another blog. This could be a blog post you disagree with, or simply a topic that you have something else to add to. When you do this, make sure to link to the blog you are responding to. On most blogs this creates what is known as a “trackback”. A trackback simply means that the blog you linked to will also post a link (automatically) to your blog. This means that anyone reading the other person’s blog post will also see the link to your blog, and hopefully click on it to visit your site. Another way to get readers of other blogs to hear about your blog is to write guest posts. To write a guest post you simply need to contact other blog owners and offer to write a post for their site. Not all bloggers are open to this idea, but if you can find a few who are it is a great deal for everyone. You provide them with quality content, and in return you put a link to your blog in your post. If people enjoy your guest post then they are likely to visit your blog for more great content. If you haven’t already, you should join popular online forums related to your topic. For example, if your blog is about dog training, join a couple of the most popular dog training forums. Many forums will allow you to post a link to your site in the signature that goes at the bottom of every post you write. Some forums may require you to make a few posts before letting you do this. Once you have joined a forum, make helpful posts. Just as with blog commenting, the content of your forum posts needs to be high quality and helpful. People are not going to want to read your blog if they don’t find your forum posts to be helpful and interesting. The promotion methods above all focus on getting new readers to your blog. This is usually the most difficult step for any blog. However, you also need to make sure that once readers find your blog they come back! Making new posts frequently (at least once a week, but preferably every 1-2 days), is the key to building up and keeping a large following. Your content may be fantastic, but if you only post once a month people are likely to forget all about your blog. You have to strike a balance between high quality and high quantity. This is a difficult balance for any blogger to achieve, as it is not always easy to write a high quality post once a day or even once a week. If you are struggling with finding ideas to write about, make sure to re-read the previous step in this guide. By now you have learned what you need to know about getting your blog started and getting readers to your site. For some bloggers this is the end goal. They simply want people to read their ideas and have the opportunity to participate in a community of like-minded people. PROMOTE YOUR BUSINESS FOR FREE. LEARN HOW! which is available at Amazon.com. I am also a professional artist . @FlotillaOnline For me to promote your book I ask you to register on my site and click submit a book. Then I will tweet your book #free.